Looking at the gargantuan market caps that the world’s biggest tech companies such as Facebook, Microsoft and Amazon have amassed, one wonders how they’ve managed to dominate within their respective environments, often in such a short period of time. Well it seems the answer lies — at least in part — in their ability to generate network effects. Of course, network effects don’t always hold, especially for non-tech services. A road, for example, does not get better as more cars use it; in fact, quite the opposite occurs! But the phenomenon is often observed when new technologies emerge. Facebook, for instance, became better as more users joined — the larger the user base, the more friend connections each user could make, and the more updates each user could see from friends and family. 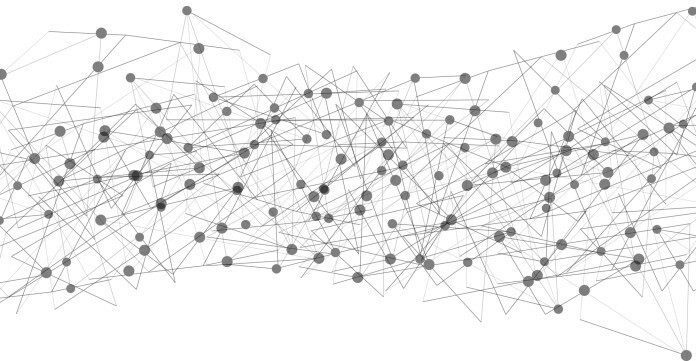 In economic terms, the network effect is a positive externality that boosts the marginal utility to all network users as more users join the network. The has been captured by Metcalfe’s Law, which states that the value of a network is proportional to the square of the number of connected users in the network (n2). The law was found to hold for both Facebook and Tencent in a 2015 study by Zhang, Liu and Xu, which found that the value of both networks (as represented by revenue), was proportional to the square of their respective monthly active user numbers. 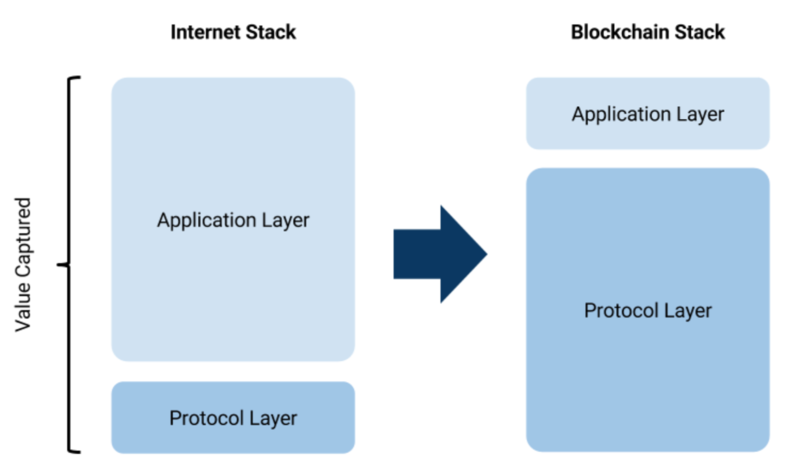 As far as blockchain technology is concerned, we should see powerful network effects emerging from this new architecture with greater user adoption. And during this time, many of the biggest cryptocurrency networks have shot up in value. 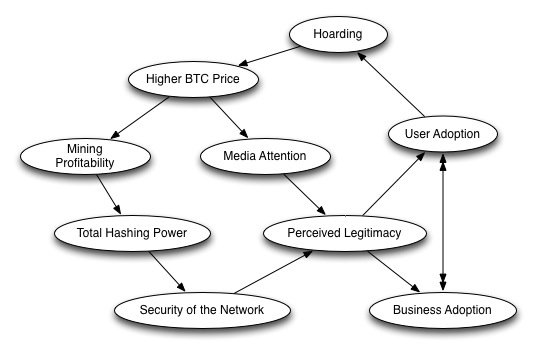 Indeed, a June 2017 study published at the Journal of Electronic Commerce Research and Applications which analyzed Bitcoin, Ethereum and Dash networks according to the number of unique daily addresses that engage in transactions on the network, found that digital blockchain networks “appear to be following Metcalfe’s Law”. And by the end of last year, Fundstrat’s Tom Lee devised a model based on Metcalfe’s Law to measure user growth by combining the number of unique Bitcoin addresses with the average USD-denomination transaction volume per address. Lee found that this method of tracking user growth was showing 94% correlation with the bitcoin price over the previous four years. We are certainly seeing enormous divergence between the massive valuations of the biggest blockchain protocols (such as Ethereum), and the applications that are built on top of them. Whether this trend holds in the future remains to be seen at this early stage of blockchain’s development. But what we can observe with more confidence is the network effects being realized by Bitcoin. The more people that hold Bitcoin, the more that merchants will accept it as a payment method. This will further induce people to use Bitcoin as they observe more merchants accepting it. As Bitcoin experiences greater customer and merchant adoption, developers will then want to create more complementary tools that can work on the Bitcoin platform. Combined, the three parties generate demand for Bitcoin, which boosts its price and makes mining the cryptocurrency a more lucrative activity. As the consensus group grows, therefore, the Bitcoin network becomes more secure. A more secure network draws in more users, developers and investors, which pushes up the price further. It also boosts the currency’s liquidity which should reduce trading spreads and make it easier and more cost-effective to exchange Bitcoin for fiat currency. As Bitcoin achieves scale, regulatory approval becomes more likely, complementary products are developed (such as Bitcoin futures) and user adoption skyrockets as it becomes the de facto digital currency (and it would make less economic sense to hold other currencies and have to pay conversion fees to make transactions in Bitcoin). Given the sheer number of cryptocurrencies out there, the competition to be the pre-eminent cryptocurrency is well and truly on. Despite its technical shortcomings, though, Bitcoin has taken the lead so far, as gauged by many of its dominant stats vis-à-vis other cryptos. There are around 22 million Bitcoin user wallets in existence. The number of Bitcoin ATMs is growing rapidly (and easily outnumber ATMs services for other cryptos). And its market cap is nearly 50% that of the remaining cryptos combined. Futures contracts, advancing trading infrastructure and the potential introduction of an ETF in the near future also suggest that Bitcoin has already attained a resilient economic moat. That said, comparing Bitcoin with similar ‘non-blockchain’ online payment methods suggests that it is yet to achieve a critical mass of users. 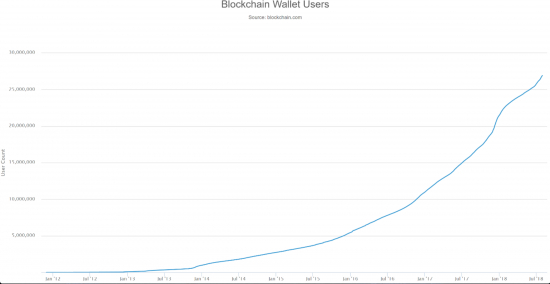 Dwarfing Bitcoin’s 22 million user wallets, for example, PayPal has a whopping 237 million active account holders. Perhaps one of the reasons why Bitcoin and Ethereum have not continued to increase in value this year, despite the increase in user numbers, is due to their well-publicized scaling issues. Negative externalities have resulted with greater network usage, as congestion on Bitcoin and Ethereum networks have surfaced on many occasions. As with our example of the road, network congestion is a negative externality, rather than a positive one, and should be resolved sooner rather than later to realize further network effects. There are over 1700 cryptos being traded on exchanges. While the majority are likely to end up on the list of dead coins, the rapid growth of a competitor currency to Bitcoin or Ethereum could see a shift in the network value and usage, in which case network effects may not emerge. Of course, there doesn’t necessarily have to simply be one or two dominant cryptocurrencies. In the same way that many of us who have a Facebook account also have Instagram and Twitter accounts that serve different social media purposes, we might use Bitcoin and Ethereum alongside, say, Monero for privacy purposes. Not every user that has created a Bitcoin wallet is a long-term user of the cryptocurrency. On the contrary, short-term investors looking to make a quick buck may have masked the true value of many cryptocurrencies, especially recently given the astronomical gains that have been made trading cryptocurrencies. Indeed, the huge sell-off we have experienced this year would support this view.